Three anti-corrosion layers give Blue-Kote pocket screws up to 400% more weather-resistance than standard zinc-plated screws. Kreg's Blue-Kote Screws feature three chemically-combined anti-corrosion layers that give them up to 400% more weather resistance than zinc-plated screws. They are an ideal choice for outdoor garden and patio furniture, as well as for general exterior construction, and are compatible with pressure-treated material. They can also be used indoors where exposure to moisture is a concern. They really work great in holding your project together after you've drilled your pocket hole. This particular size of screw is not a common item stocked by the big box stores so I ordered them through Rockler. I received my order on the date stated and the screws were what I ordered. Product arrived as described. I love the large quantity. Well these are keep screws. They work as intended. Goes in without pushing the wood back thanks to a self drilling point. Keeps everything tight! 2 1/2" Blue-Kote pocket hole screws for 1 1'2" lumber. I am looking forward to the 400% more corrosion resistance. They are going into my grow boxes which have to suffer the 4 seasons of Utah. The screws work really well. I put together a porch railing and it holds great. They work well for plywood projects. These are great and seem a little smoother than the normal plated screws. I am considering going to these in place of the plated even when the rust protection is not required. I kind of wish they made them on fine thread for hardwood. I have been working with some Purple Heart recently and it is tough on everything! They have great holding ability. I like these screws. They fit just right. I purchased these screws to be used outside on my deck. Although they have only been outside in the weather for a week, so I can't really say how they will hold up. I was very pleased that the coating on the screws did not fail in any way during any of the installation process. I would expect that based upon that experience, I believe that the screws will hold up just as I hoped. Tremendous design. Could use a more agressive size for outdoor weather projects. I can't speak to the longevity of these screws when exposed to the weather, but they hold well on plywood projects. Time will tell if they corrode or not in our Northwest rainy weather. Easy to install providing excellent weather protection without buying more expensive stainless steel screws. I love using these screws, they are sturdy and made with great quality and I have never had one snap on me unlike other screws. Really good for exterior construction where steel plates or connectors require # 8 screws. I found the screws to be all they were advertised to be and reccomemd them to others. 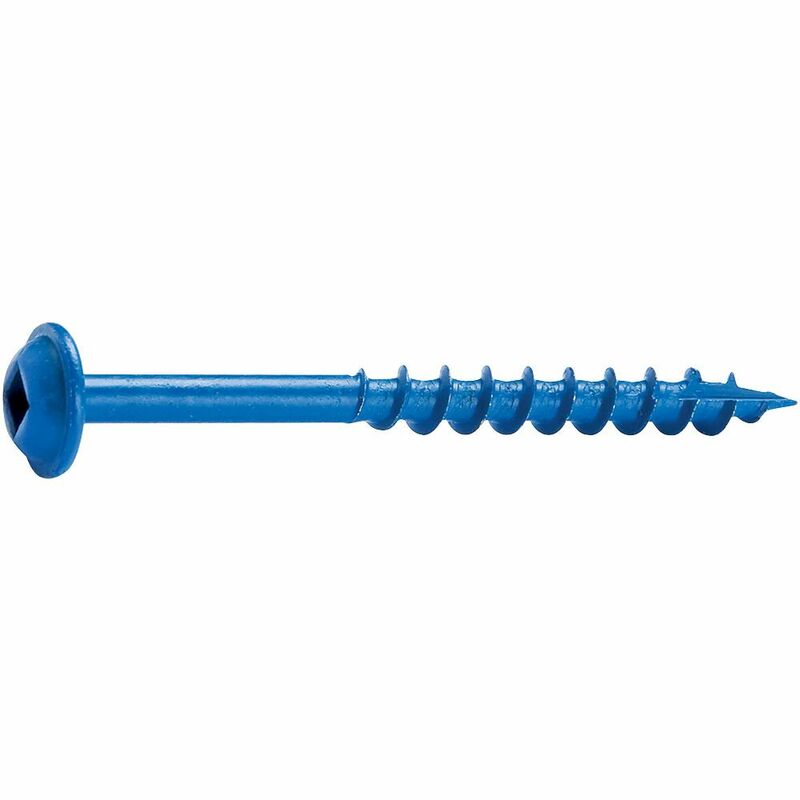 Excellent screws - high quality Kreg product! The Kreg Joint ssytem and 2 1/2&quot; Kreg blue-Kote screws produce an excellent product and the fast/reliable service from Rockler made it possible. I used this screw on park billboard signs. They work very well being washer head screws, they don't crack the wood. I use the Kreg drill bit to countersink them. This is like a totally awesome screw. Like you can use it to connect two pieces of wood together. I mean, dude, does life get any better than that? Screws worked as expected. The test will be over time as they were used with pressure treated lumber. Would purchase again when needed. They hold very well and strong the only issue I ran into was three of them broke the heads off. I believe the longer the screw the harder it bits in,the metal must be stronger. I used these screws along with a Kreg jig to build some outdoor patio furniture. The construction went well and the product came out good. Still have to see how they weather the upcoming winter, but they have performed well so far. I bought this because I don't want to run out of screws. This was a great deal! 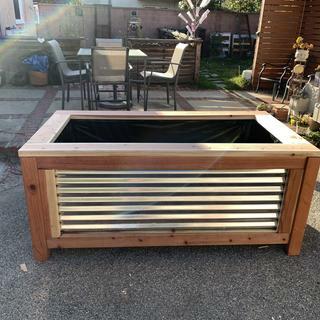 Building a Grow Box and need the corrosion resistance. 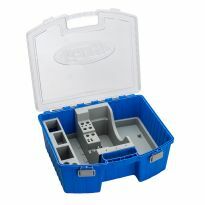 Glad to see Kreg selling the screws in the 1200 pack , most of my projects have at least 75 screws in each chair . Just wish they would get on board with the rest of there screws and sell in larger amounts ! Because you don't offer Kreg 2 1/2" zinc finish screws !! I used these to build an outdoor patio table and now I'm going to make a set of matching chairs. They worked very well. Needed to finish a project. Project called for this size. Projects include workshop cabinets. Just bought the Kreg R3. Rust resistance was important to me. building an outdoor project with 3/4 lumber and needed this size screw in powercoat. Not abilable locally. This was a wish list item for a wood worker on my Christmas list. Because I needed them !!! Recommended for outdoor projects that may be exposed to moisture. Coarse thread recommended for softwood. Project involving joining some 5/4 cedar for tables that will be exposed to weather. Needed these screws for outdoor projects. I have used the interior screws with great success and want to use the exterior screws for outside projects. My current project is making a lattice 3 - sided blind to mask our above ground propane tank. These will be used to secure lattice to timbers. 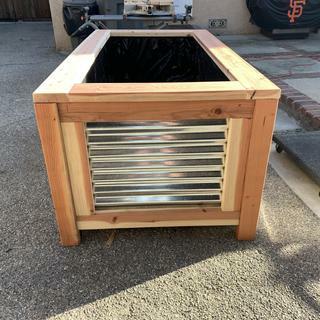 I make outdoor benches and needed weather resistant pocket hole screws. Ran out of these sizes - use for all kinds of shop jigs that I do not want to come apart. Like the way they hold. The Blue-Kote screws are coarse thread. Do they work on hardwoods such as ipe? BEST ANSWER: I’ve used these coarse screws with soft woods – pine, fir and cedar. They have been great on all three. I suggest following the manufacturer’s guidance about hard woods – go with the fine threaded screws. No you should use the fine thread screws for hard wood. Go to Kreg web site, they will help you. They will work on hardwood such as Brazilian (ipe) walnut or any dense wood, be sure to pre drill holes first then coat the screws with either wax or soap before driving the screws. Note: the wood is so hard it may strip the phillips head, I wood use a square or box head screw instead of a philips head screw. Be sure to coat your drill bit with soap or wax first before drilling. Use stainless Steel for exterior use if you can't find a blue coat in a square head configuration. I would not use coarse thread on hard wood without drilling a tap hole. You run the isk of snapping the screw off. what screw for 3/4 inch wood ? Are the blue kote screws as good outdoors as stainless steel? BEST ANSWER: Blue kote screws are just as good or even better ... So far I've used them on hand rails on my deck . my garden bench . and a few other projects. & so far no rust & no runs. I just didn't order enough. Great for all your outdoor projects. as far as I have seen in my usage of them they seem to be just as good. I have used blue coat screws on many outdoor projects. They are still holding up and showing no signs of rust. They are far less expensive and easier to drive. I use the blue Kote screws for all my outdoor projects. I think there a great alternative to stainless. What length screws do I use with 1 1/2" thick wood (2x4)? You would be using the 2 1/2" screw in anything 1 1/2" thick and thicker. You should use 2 ½" screws. Would you use this product to fasten down planking on a pier that is exposed to salt water? BEST ANSWER: Salt water and marine exposure demands the use of a 316 grade stainless steel fastener, unfortunately the most expensive grade but most corrosion resistent. Do not use 304 or 305 grade stainless for marine applications as chloride salts greatly accelerate corrosion of any steel but true 18-8 chromium nickel steels (aka 316 grade SS). The coated fasteners will fail from corrosion due to chips in the coating at the head and threads after driving. Impact drivers will create more chips so avoid heavy impact drivers for all fastener applications to improve lifetime in severe weather outdoor service. Salt water and marine exposure demands the use of a 316 grade stainless steel fastener, unfortunately the most expensive grade but most corrosion resistent. Do not use 304 or 305 grade stainless for marine applications as salt greatly accelartes corrosion of any steel but true 18-8 chromium nickel steels (aka 316 grade SS). The coated fasteners will fail from corrosion due to chips in the coating at the head and threads after driving. Impact drivers will create more chips so avoid heavy impact drivers for all fastener applications to improve lifetime in severe weather outdoor service. TENSILE STRENGTH ON THESE SCREWS? looking TO ATTACH 240 PERMANENT ROOFING ANCHORE TO STUDENT HOUSING. 8 SCREWS IN EACH ANCHOR. DO YOU HAVE ANT SPECIFICATIONS ON THIS? THANKS. Doing some deck repairs and should I use the Bluekote or HD screws for securing 2 x # ? The original galvanized rusted out. BEST ANSWER: I would use HD screws. what length is needed for joining 2x stock? BEST ANSWER: For 2x stock you need a 2 1/2" length screw..trust me they hold better than nails.